A jaunt around Southeast Asia is the dream for most backpackers. It’s super adventurous, very beautiful, and you can travel around without draining your bank account dry. There’s just one problem, how cheap is cheap? How much does it cost to travel to this area? I know that everyone hopes and prays for an exact answer, but it’s unfortunately quite difficult to point exactly how much you’ll need to travel to Southeast Asia. However, I do have advice and some averages for you to go off of. After all, I spent over four years of my life exploring the region and living in Thailand as my base. I think I kinda know a thing or two about what things cost in Southeast Asia so hopefully, I can help you budget a better for your trip over! How Much Money Do I Need to Travel Southeast Asia? So what are the issues with finding out how much one would need to travel Southeast Asia? 1. I have no clue who you are or what type of person you are, which does determine how much money you may or may not spend. 2. Where exactly do you plan on going? Because island hopping around the Philippines every other day will undoubtedly cost more money than just relaxing on one of the beaches in Thailand. 3. What type of traveler are you? Must you have a minimum of 5 cocktails each night? Must you have a TV and aircon in every room you stay in? Or maybe you’re someone who would rather stay in a dorm and eat local food only? Oh! Or perhaps you’re going to try and fit 5-6 countries in one month? When people ask me how much money do I need to travel to Southeast Asia… It’s not an easy answer! That’s OK though, I won’t leave you high and dry, but this is something only you can answer. Read the rest of this article, then see about how much these countries will cost you. A backpacker budget per day for Southeast Asia, in general, is said to be around $25-60 on average per person. This includes EVERYTHING with exception of travel insurance and flights. You can go much higher and much lower. Of course, it does help to split costs with others so the per person cost will drop if you’re not going solo. It also depends on what activities you’re into. Below you’ll find a great set of averages and example costs of everything around Southeast Asia. The region may not be the biggest, but there’s a lot of information to offer! Far too much to include everything detail in this post. So after reading this post, I’ve broken down everything per country and have an extensive amount of Southeast Asia guides. I’ll be linking to those guides below where you can get more info about the country as a whole and, of course, more specific cost information. To keep everything easy, everything below is in USD. AirAsia is THE way to fly in Southeast Asia. You can check Skyscanner, but after four years in Asia and searching, I know to just go straight to their website, they are 99% of the time the cheaper option. A one-way flight anywhere in Southeast Asia will be under $100. Domestic flight can be found as cheap as $15-20! * Please remember that AirAsia charges extra for baggage. * Do you need a return flight? Another popular question… I never do! But it did cost me once in the Philippines. So prepare for this possibility or have a flight. I’m adulting super hard now, and I always have an exit flight because nearly getting deported was not fun. Here’s how to get one for free. A very cheap, but a longer way to get from A to B. Buses will usually be under $20. A bus from Bangkok to Chiang Mai (12 hours) is around $15-20. A bus from Manila to Banaue (10 hours) is around $13+. Bus prices range because there are sometimes different classes to choose from and sometimes the seasons will determine the price too. You can very easily check the bus times and prices here for anywhere in Southeast Asia. The local buses in town are super cheap. Jeepneys in the Philippines that took an hour would be less than a dollar. Songtaews are often less than a dollar or two in Thailand and can take you around the city and sometimes even to the airport. Pretty much everywhere you go, you’ll get it for less than $10 and often around $5 unless you’re trying to rent a fancier and faster vehicle, those can run around $15-$20 and more per day. Petrol fill-ups are usually are $1-3. These vary from place to place. A rule of thumb for me—get a metered taxi. If you’re using a tuk tuk/rickshaw/tricycle (name varies in each country), then decide on a price before hopping in. My best advice for getting a good deal: Always ask a local, a neutral party (like the person who runs your guesthouse), how much it is to get from A to B, so you have a base price to work off of for negotiation. Nowadays, many of the bigger cities, AKA where most taxi scams happen, have Grab. So sign up for Grab, and you’ll get taxis without the need for negotiations. Food is generally quite cheap in Southeast Asia. YAY! If you eat locally, you can eat meals for under $2 in any country. If you’re like me and want a western breakfast, because you will cry if you have to eat rice for breakfast, you can expect to pay $3-5+ depending where you are and what you get. Food markets are where.it’s.at. This will always be by far the cheapest spots to find awesome food. Don’t be scared, eat at the local markets! If local food isn’t your thing (weirdo), western meals usually start at $5+. But a regular spot will probably make you a burger for about $5-7. A pasta dish can run you $6-7. Let me add that attempts at western dishes are usually quite the disappointment. That’s for me anyway. Save your money unless you know they have legit international meals or if you’re dying for something familiar. Fruit is usually quite cheap; certain things will be more expensive. Green apples are $.50 in Thailand and durian is always pretty pricy at $5+ for a good chunk. A small bag of cut up fruit will be $.60-$1 in Thailand. A yummy Indian meal in Malaysia costs about $1.50, with naan! Nasi goreng (fried rice) can be as cheap as a $1 in Indonesia. A pricier vegetarian dish in the Philippines cost me $2-3 but was worth every penny. Laap with sticky rice in Laos was about $2 in a nicer cafe. What defines “the best?” Who are you? How are we supposed to know? What’s your budget? What part of the town/city? What amenities do you want?! So many questions! Introduce yourself to Agoda. It’s the best site for finding accommodation anywhere in Asia. $5-6 in Thailand will get you a decent room with a bed and a fan. You might get a bathroom, or you might have to share. $5-7 in Indonesia will get you something similar to what I mentioned above. I paid $10 for a small dorm in the ever popular, El Nido, Philippines. You can go cheaper if you stay in dorms, but I only stay in dorms from time to time. In many places, you can find your own room for the same price as a dorm! Look on Agoda, and get an idea what you get for your price range. If you like a spot, book it. If you’re not sure, take note of the place on Agoda, and wander around when you get there. If you’re looking for the cheapest spot, your chances of finding that spot on Agoda/ online aren’t that great. Chances are that place doesn’t have a listing on Agoda or a website and the only way to find it is to walk around. With that said, you may only be saving a dollar or two by doing this—is it worth your time and walking around with your bags? * What type of activities will you be doing? Beach bumming is free. Climbing in Krabi can cost $30+ if you need a guide and gear rental. Diving can get pricy if you’re an avid diver. Just want to chill? Well, that doesn’t cost very much. So you can see where this will significantly affect your budget. * Is there an entrance fee? Sometimes your activity might be cheap, but don’t forget about entrance fees! Sure, riding your bike to a National Park in Thailand is super cheap, but guess what? 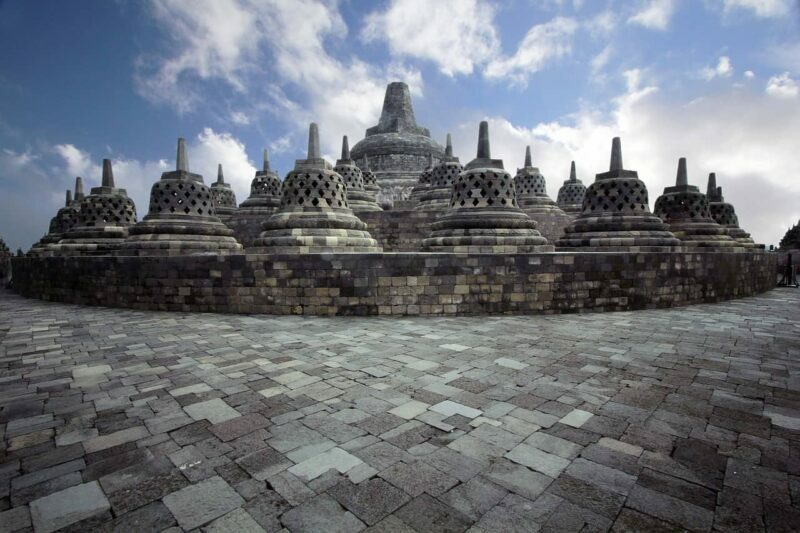 Borobudur in Indonesia is a must visit but it’s not cheap to get in! You’re a foreigner, so you may need to pay $5-10+ to get into that park. Don’t forget about these little add ons; they do add up. The Philippines and Indonesia do the same thing. If it’s a popular attraction, there’s likely a foreigner entrance fee. * Do you need a visa? 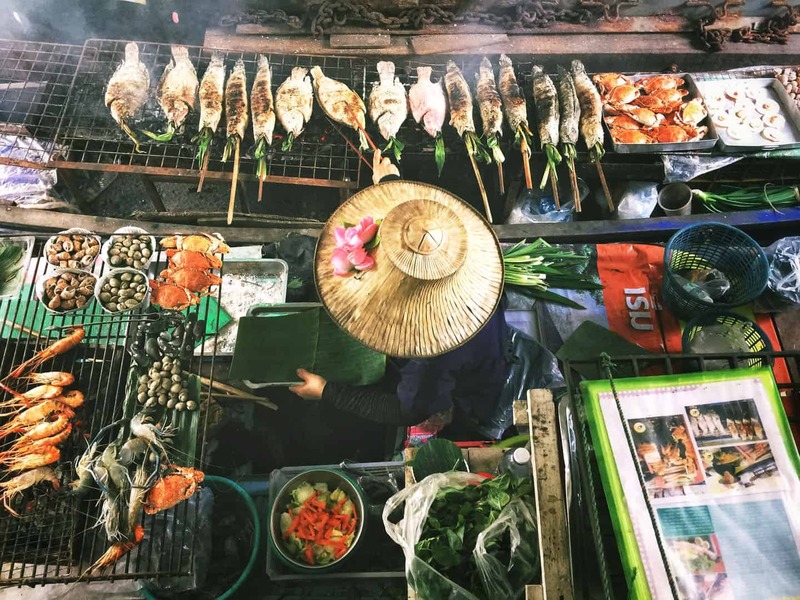 Perhaps people like to know some true specifics… Here are some situations I’ve been in during my time in Southeast Asia that may help you gauge your budget a bit better. I’ve updated this post but I left the following intact, these numbers have not been updated and were true at the time of writing. >> In 2012, I was broke as a joke. I finished teaching in Ayutthaya and traveled around, and before you knew it, I was running on my last bit of savings. It crept up on me so quickly; I didn’t know what to do. Luckily, I just scored a job teaching English online. Yay! The one problem? I only got paid monthly, and my first paycheck wouldn’t get to me for another six weeks!!! What to do?! I lived the cheapest I’ve ever lived in my life. I was living in Chiang Mai at the time. I bought bread, PB and J, yogurt, and bananas. A mixture of those items was my breakfast every day. 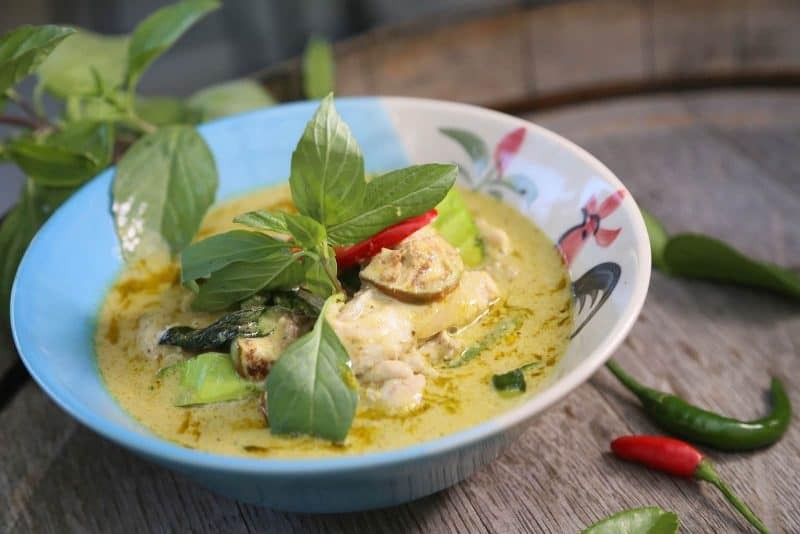 For lunch and dinner- local Thai food only. I spent no more than $10 per day. That’s right… $10 PER DAY! $5 for accommodation and $5 for food. Some days I “splurged” and maybe bought an extra snack or got too tired and hot, so I took a taxi to wherever, so maybe I spent $12. I lived like this for over a month. I didn’t go anywhere outside of Chiang Mai. >> In 2014 I lived in Krabi Town. I wasn’t as broke, and I was able to do a bit more. I ate at my favorite restaurants that had awesome breakfasts that were about $3-5. I spent around $170 or so in about 13 days and I got to do all the things I wanted to do around Eastern Java. That’s including my accommodation, my taxis, a car rental for a day, entrance fees, food, and whatever else. I met three other travelers so this helped keep my cost down as I was able to share taxis and rooms and such. Everything below is in USD and per person. However, if you’re a couple or with a friend, the per person costs will go down a bit as you’ll be sharing taxi and room costs. The totals below take into account food, accommodation, transportation within the country, etc. Not flights over from home or visas or travel insurance. These are JUST averages. Nothing more nothing less, everyone is different! This list also doesn’t include excessive drinking which is a major budget buster no matter how cheap the beers are. It all adds up. Click the links! I have guides to pretty much everywhere with costs and specifics that are laid out in more detail. Maybe a few beers, some island hopping, jungle huts and more can be enjoyed with this budget. Accommodation is a bit cheaper in Cambodia, although not so much in the major cities. Cambodia’s budget will get you by just like Thailand’s although, I have to admit, I feel like Thailand offers more value for the money. I felt the food and accommodation were priced the same as Thailand but was ever so slightly crappier in Cambodia. Kuala Lumpur will cost you a few bucks more, that’s for sure, but overall, Mayalsia is quite cheap, and the value is here for sure. Although Bangkok is usually the entrance for most backpackers in Southeast Asia, you should look at flights to Kuala Lumpur to compare and start down here! Alcohol will break your budget here since it’s a Muslim country, think along the lines of $5 a beer! OUCH! Singapore stings, really bad. There’s almost nothing budget-friendly about Singapore, so don’t forget that if you’re coming over on a shoestring. Rooms are where most of the budget goes, and taxis are almost the same price as back home. 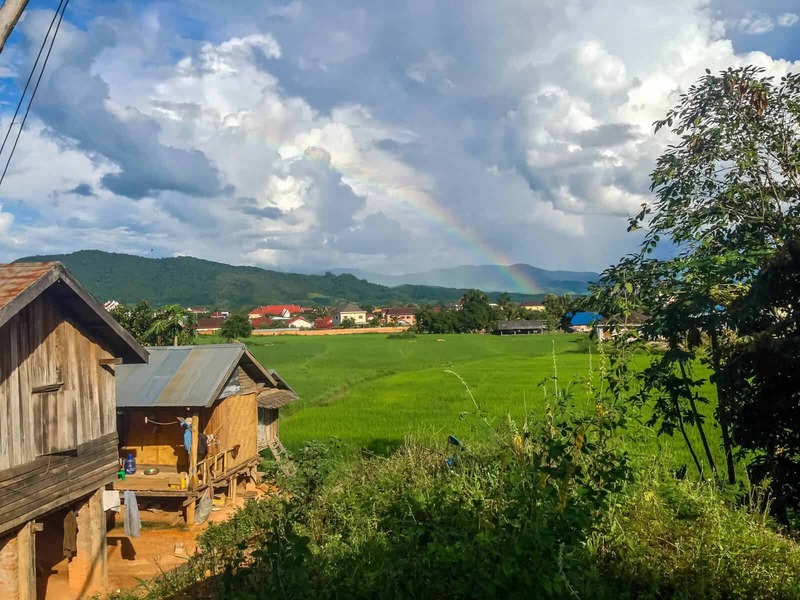 Laos is a bit more than Thailand simply because accommodation is slightly more. A few activities are a bit more too. Overall it’s just a few bucks, and I LOVE Laos, so don’t think about skipping it! Vietnam has some great value here, and you’ll get to enjoy it for really cheap. $10 rooms and $1 street food items is not a bad deal. Indonesia is damn cheap… Unless you’re island hopping every other day and only hanging out in Bali. Bali will cost a bit more, although it’s still budget-friendly. Hopping from island to island will cost you because you’ll be flying. If you don’t fly, trust me, you pay VERY dearly in time, and you’ll waste days on getting from A to B without a domestic flight. Prices are going up and up here as it becomes more and more of a tourist destination. Rooms are a bit more than the neighbors, but the value is all there. Like Indonesia, The Philippines is a spread out over thousands of islands, and you’ll need to fly to and from places as other options are wasting days on a crappy boat, trust me, it’s just not an option. You can come here for less if you pick an island or two and chill. 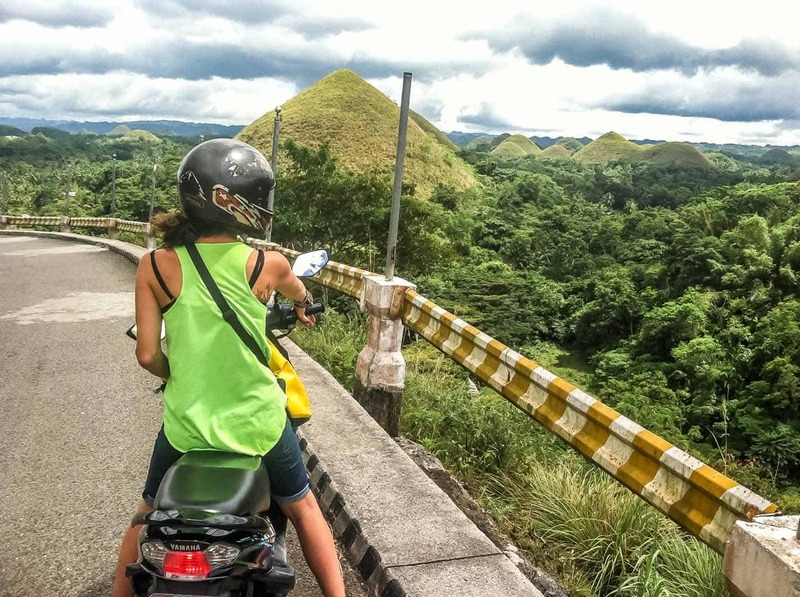 The value you get and the ease of travel in The Philippines in unmatched. Travel insurance is not something you want to forget when traveling to Southeast Asia. I use Allianz or World Nomads depending on my trip, get a quick quote and purchase it before your trip! 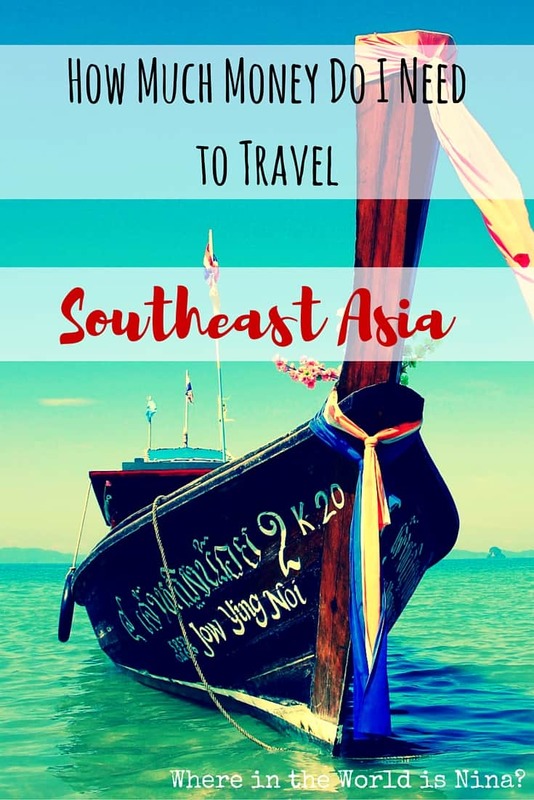 Check this post out if you’re not sure what to pack for Southeast Asia! What type of traveler are you? What is your spending goal when you travel around Southeast Asia? Let us know in the comments! Hello, thanks for the ‘infotaining’ (information+entertaining, doh!) blog. I was planning a solo travel to Sabah & Sarawak maybe next year. My bucketlist for this one is: Climbing Mt. Kinabalu, and the rest is in Sarawak which is mostly jungle/caving/trekking adventures particularly in Mulu National Park. So I do hope we can bump each other there if ‘destiny’ allows. Hahaha..
Anyways enjoy your adventurous life. All the best. Aw thanks so much Marshall! Glad this was helpful! Fabulous, informative and upbeat! No one can ever know how much they’ll spend until they’re wherever they going to! Guesstimates plus some to cover some unknowns and all should be ok. Off I go to SE Asia next week to dive into the local culture and food! Thanks again for your articles ?✈️? Awesome Natalie!!! Have an amazing time and thank you for reading. So happy this was helpful Tavo!